Safety first! Protect your fingers and hands when handling blades and sharp objects with this cut resistant glove. 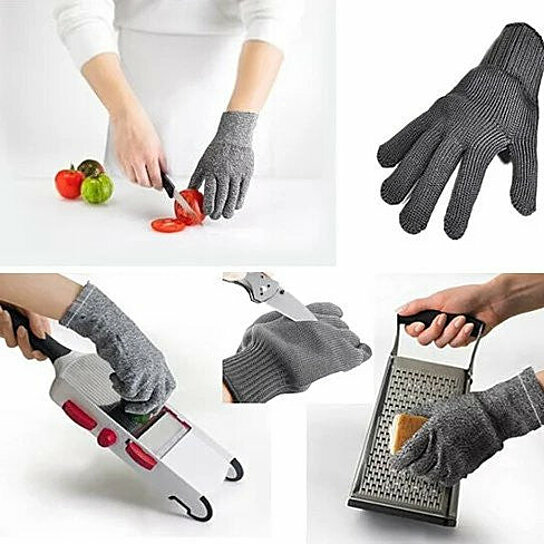 Made from cut resistant fibers, the glove makes sure you're protected when you're chopping veggies, shredding cheese, cleaning a fish, or working in the shop. Perfect for the outdoorsman in your life! Protects fingers and knuckles against sharp implement (knives, peelers, shredders, zesters etc. ), as well as cutting machine/glass handling work.